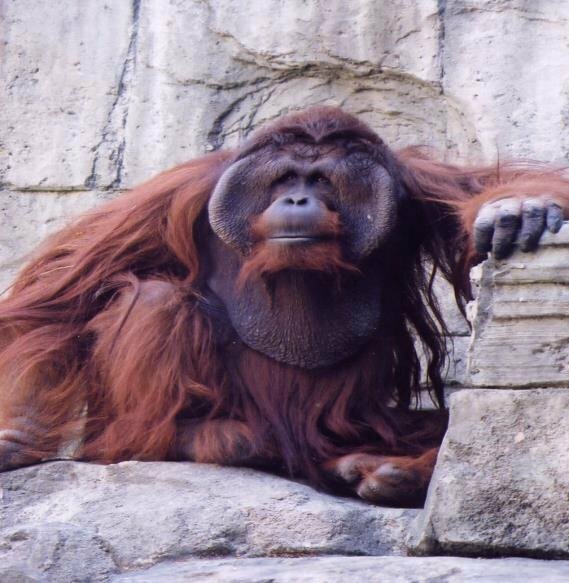 Orangutans share approximately 97 % of their DNA with humans! One offspring born every 3-6 years. Clings to mom for first 2 years of life.